1-room apartment 40 m2 on 1st floor. Tasteful and cosy furnishings: entrance hall. Living/sleeping room with 1 sofabed, 1 double bed, dining nook, satellite TV and radio. Exit to the balcony. Kitchenette (2 hot plates, mini-oven, microwave). Shower/WC. Balcony. Terrace furniture. Very beautiful, of the mountains, the river and the forest. Facilities: telephone. 1 pet/ dog allowed. Double bedroom available on request. 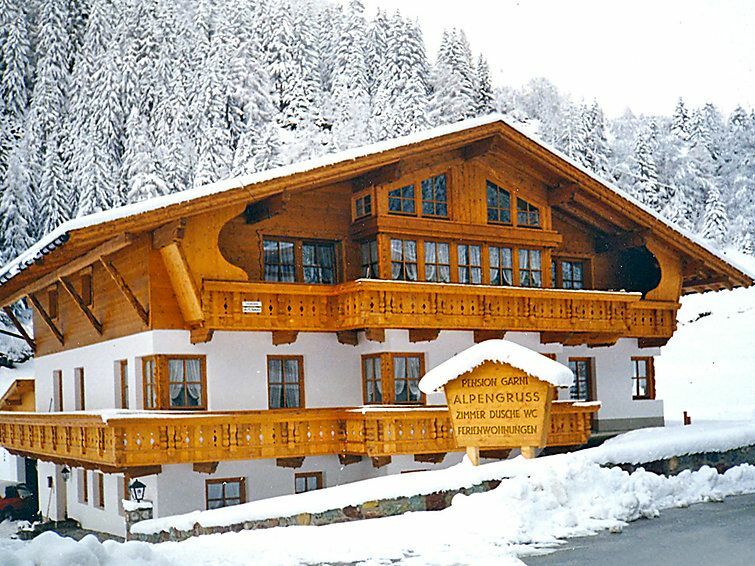 St Leonhard: Comfortable apartment block Alpengruss. In the district of Wiese, in a sunny position. For shared use: garden, lawn for sunbathing. Patio. In the house: breakfast room, lounge, sauna (extra). Massage (extra). Storage room for skis, central heating system, washing machine (extra). Bread roll service. Parking. Grocery 7 km, restaurant 20 m, outdoor swimming pool 7 km. Tennis 7 km, mountain railway 18 km, gondola lift 9 km, ski bus stop, cross country ski track 20 m. Nearby attractions: Outdoor Park 'Area 47' in 44 km, Adventure Park Jerzens 8 km, Eisklettereldorado Kitzgartenschlucht 50 m. Well-known ski regions can easily be reached: Pitztaler Gletscher 18 km, Hochzeiger 10 km. Please note: ski bus (free of charge). There are more similar properties for rent in this same residence.